Who Else Loves the Look of Good Old Windows 98? 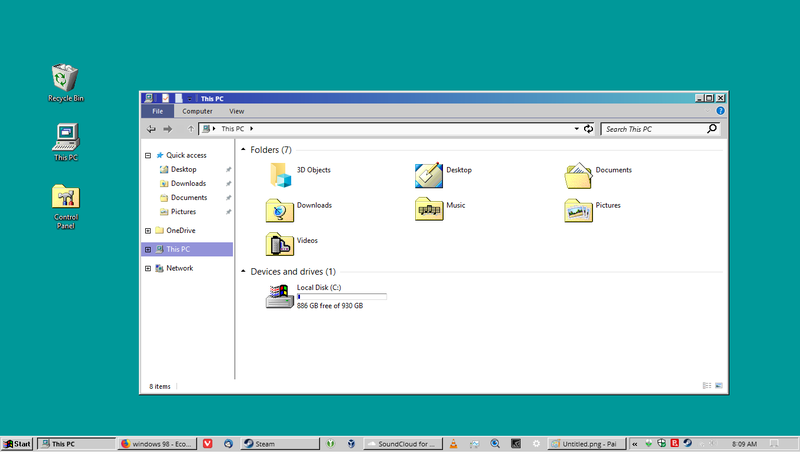 I was going for trying to make my Windows machine like Linux but I found a theme that looks exactly like Windows 98. So I went with this instead. I mean it looks fantastic! I was only a year old when this OS came out and never had the chance to use it. For some reason I actually like the look of this better a lot more than the design of Windows 10. All of this was found here on WinCustomize. What do you guys think? I didn't hate Win98, but I got more than my fill of it. It did used to let you change various colors to some extent and save them as themes which was helpful. Win98 was what I was on when I first discovered WB. 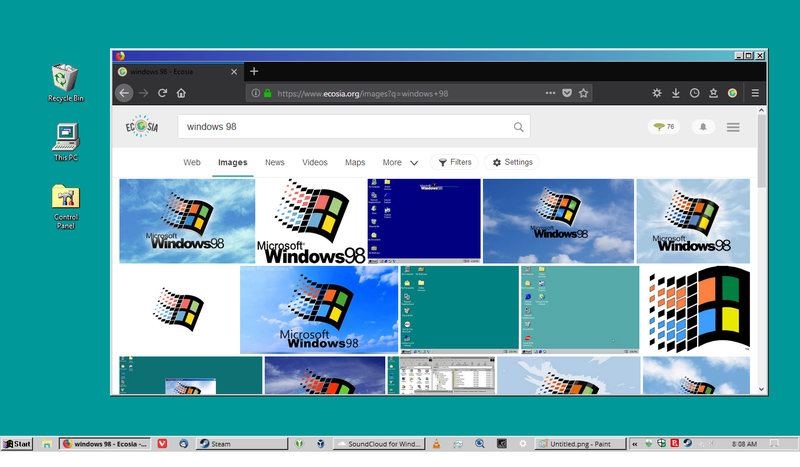 XP itself would also let you apply a "Classic" look which I think was a Win98 look, and let you change the colors to some extent, and save them as themes. I mixed up about a half-dozen combinations and used to load them up occasionally for a change of pace. It's a look I don't mind "dating" once in awhile, but I didn't like being married to it. I didn't mind Win '98, but it was a little bland and I needed to change the colour and wallpaper regularly to stop getting bored with it. However, after a while of using '98 discovered MSStyles, which changed the UI and desktop icons. That was fine for a while, but then I discovered XP and Windowblinds. Since then I have tried Vista; Win 7; Win 8; Win 8.1 and Win 10. Of them all I liked Win 7 and Win 8.1 the best. Win 10 is supposedly the greatest OS that MS have ever released, well according to MS it is, but I'm not overly fond of it and hope that MS changes its mind about forced updates and its data collection policies. When that happens Win 10 may be passable.